I understand your decision to lock the thread below relating to MJs Armani results. you made some factual observations regarding the photos that MJ previously posted which are at odds with his report. That is reasonable and the thread could have been left open to allow MJ the right of reply or others to support your comments. On the other hand, you also made comments that are highly contentious relating to dutasteride and have not allowed these to be balanced by others. If you can even suggest that dutasteride could be responsible for the loss of or poor growth of his transplant then you are suggesting that there is acceptor site rather than donor site dominance and that at the hairline this donor hair could be lost as a result of lowering DHT. This is highly contentious but plausible and deserves discussion since it would turn upside down the understanding of the causes of MPB. If you are suggesting that the dut simply caused additional loss of native hair then that was not clear in you post and you could have allowed MJ to respond to whether this was true or not. You can start a new thread or use this thread for the discussion of Dutasteride and hair transplant growth. » Dutasteride and hair transplant growth. OK this is fine. Thanks. This is only 1 person’s experience with dutasteride, we cannot draw any conclusions from that, the question is who else had the same experience with hair transplant and dutasteride ? » with hair transplant and dutasteride ? Sure that is a given. There are quite a few that claim fin and dut destroyed their hairline but filled their crown. If it could do this to donor hair (which is usually unaffected by fin) as well as native hair then it would suggest that this paradox is the result of local factors outside the follicle. in science it is not what is seen, but what we ignore that allways comes back to bite us!!! » » with hair transplant and dutasteride ? » Sure that is a given. » paradox is the result of local factors outside the follicle. » back to bite us!!! in order to know what kind of impact dutas has on the donor grafts that are supposed to be DHT resistant. While you are at it, can someone also confirm or dispute the idea that if one gets a body hair transplant, then it is a bad idea to go on Propecia or Dutas because these drugs have the opposite effect on body hair and will cause them to fall out? » cause them to fall out? This is all about donor hair vs recipient site dominance. It is accepted that there is donor hair dominance and that is the basis for transplantation. It just might not be that simple!!! If donor site dominance prevails then fin is a bad idea if one has BHT. I would go with that if I had BHT. The fact remains that dut and fin have been (indisputably in my mind) shown to cause shedding and permanent loss of seemingly healthy frontal hair IN SOME PEOPLE! I have some vague ideas about why this might happen but the idea that it could also happen in the frontal area with transplanted hair would add another dimension to the observation. There is a higher level of aromatase in the frontal hairline area in some men and this is could be relevant to the issue. don’t spread fake rumours based on bogus testimonials. fin and dut have been proven to be more effective in the crown than on the hair line. that much is fact. its however a far cry from claiming it damages the hair line. » don’t spread fake rumours based on bogus testimonials. » damages the hair line. More effective in the crown? you don’t have proof for that either. » More effective in the crown? you don’t have proof for that either. the dangers of people showing up and spreading bull&hit is high. Active Ingredient: Finasteride. Dosage: 1mg/day. 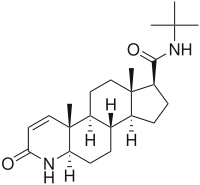 Propecia is defined as a 5-Alpha-reductas enzyme inhibitor. It binds to the enzyme to prevent it from synthesizing testosterone to Dehydro-Testosterone. Best results are obtained after two years of use, but early results can be seen after only a few months. The success rates are very high: in double blinded studies it has been shown effective in stopping hair loss on 83% of the patients. On 65% it has achieved regrowth as well. According to Merck propecia is effective at the crown and mid scalp areas. There is no conclusive data on how Propecia affects the frontal hairline and temples, even though there is evidence showing that it is effective in these areas too. » » More effective in the crown? you don’t have proof for that either. » the dangers of people showing up and spreading bull&hit is high. » Active Ingredient: Finasteride. Dosage: 1mg/day. » the patients. On 65% it has achieved regrowth as well. » effective in these areas too. you are not kidding when you said the danger of people spreading BS is high, how did you draw the conclusion that propecia is “more effective” at the crown based on the above??? BTW, where did you quote the following from? Did you write that yourself or was it indeed written up by Merck? "According to Merck propecia is effective at the crown and mid scalp areas. There is no conclusive data on how Propecia affects the frontal hairline and temples, even though there is evidence showing that it is effective in these areas too. " » the crown based on the above??? As I said, the danger of BS spreading is high. I would say its approaching critical levels at this point. » was it indeed written up by Merck? the danger is severe as mentioned. » » was it indeed written up by Merck? » the danger is severe as mentioned. NO, that simply is NOT TRUE! You may have saw my earlier posts but I wanted to add my 2 cents. After my recent HT, I had 1500 FU’s in front hairline and on crown. Approximately two months after my HT, my doctor put me on Avodart for a minor prostate problem. What has happened since then is remarkable. My crown has completely filled in and my hairline has receeded. So, the FU’s in my hairline did not grow in and my hairline receeded terribly. It has been 16 months since my HT and I went from a daily dose of avodart to once a week. My hairline has not come back. » What has happened since then is remarkable. » FU’s in my hairline did not grow in and my hairline receeded terribly. » to once a week. My hairline has not come back. That is interesting. I have seen a few anecdotal reports of this but countless reports of dut and to a lesser extent fin causing frontal hairloss. The question is, why should inhibition of 5ar-I do this in some people. Although the gross stats do not make this effect clear, the era of using that sort of analysis by the FDA is coming to an end due to the advent of pharmacogenomics. Freddy and others could take this on board. When I put this together with the effect of topical dut which mainly affects 5ar-I (since it is locally produced) then it is at least suggestive that the impact of dut and fin are not necessarily due to lowering systemic DHT but could relate to upregulation of 5-AR-I or down regulation of aromatase when DHT is low at a local level. This is not a hypothesis, and there are missing links but just adds further confusion to the mix. Really just thinking out loud but one thing is for sure and has been shown over and over again in science. It is the inconsistencies in current models that we ignore that come back to bite us and often are the key to important answers. » » What has happened since then is remarkable. » » FU’s in my hairline did not grow in and my hairline receeded terribly. » » to once a week. My hairline has not come back. Oh, the point is that dht and estrogen concentrations local to the transplanted hair may differ from the systemic level when takin dut and this might impact on locally transplanted hair in some people.